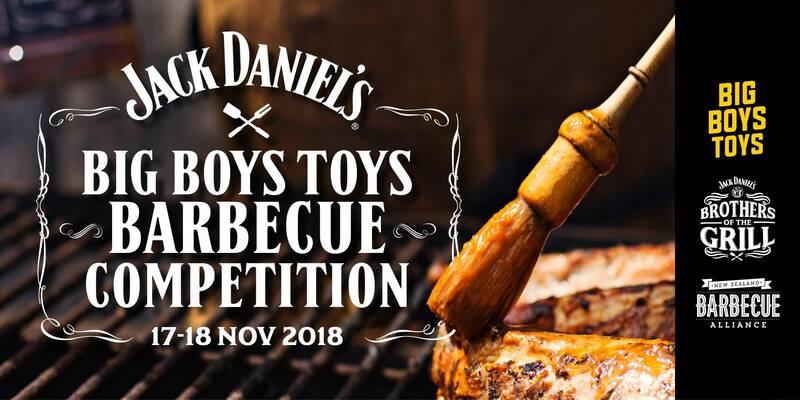 Show off your low and slow skills at the Jack Daniel’s Big Boys Toys Barbecue Competition, in association with our sponsors Heat Beads, BBQ Supplies, Aussie Butcher, Octopit Pro and Barbecue Mafia. It’ll see New Zealand’s best low and slow BBQ pitmasters compete head to head in the battle to be named Grand Champion and win their share of the NZ$10,000 prize and trophy pool. Registration are now open. Each team can have between 1-4 people and you can register your team up to two weeks prior. Simply register your team together in one registration and pay one fee of $250 per team. For all information, please click here. Please note, the maximum number of teams per event is strictly limited to just 30 – so unlike the way we like to cook, you better be quick.